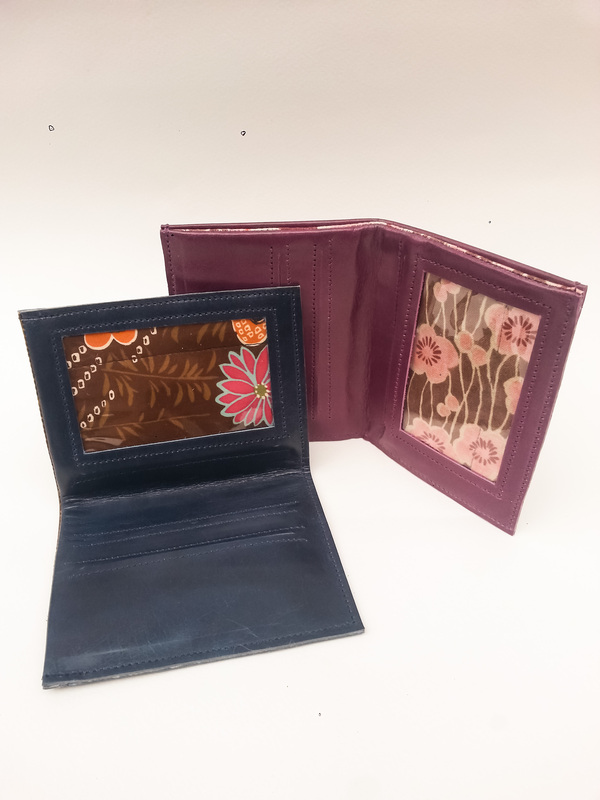 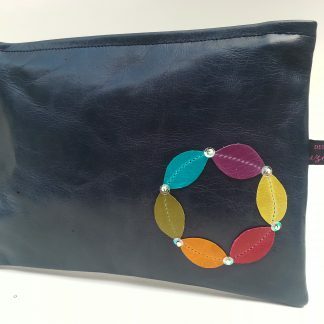 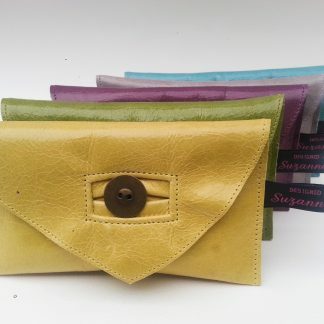 These wallets have double card holder pockets on one side of the inside, each pocket being lined with a cotton fabric to complement the colour of the leather. 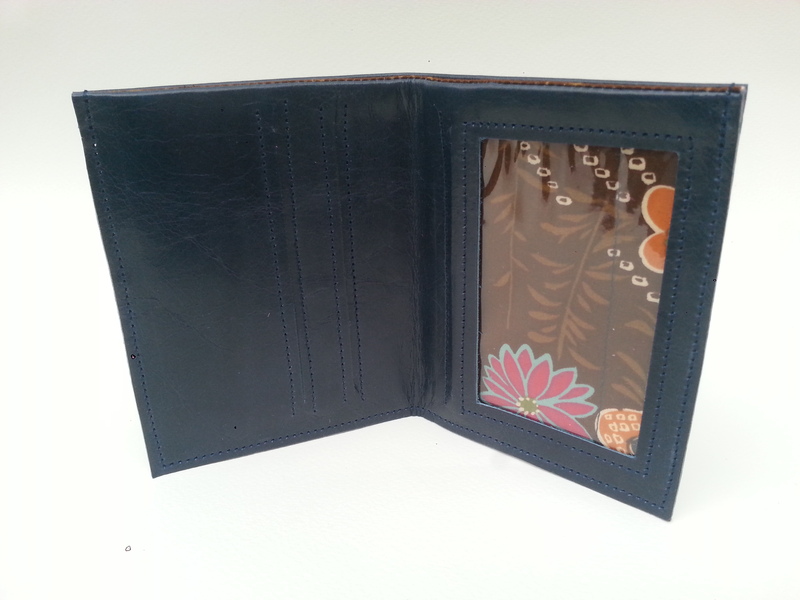 On the opposite side there is a window section to place a visible pass plus a secret pocket behind the pass area for other cards. 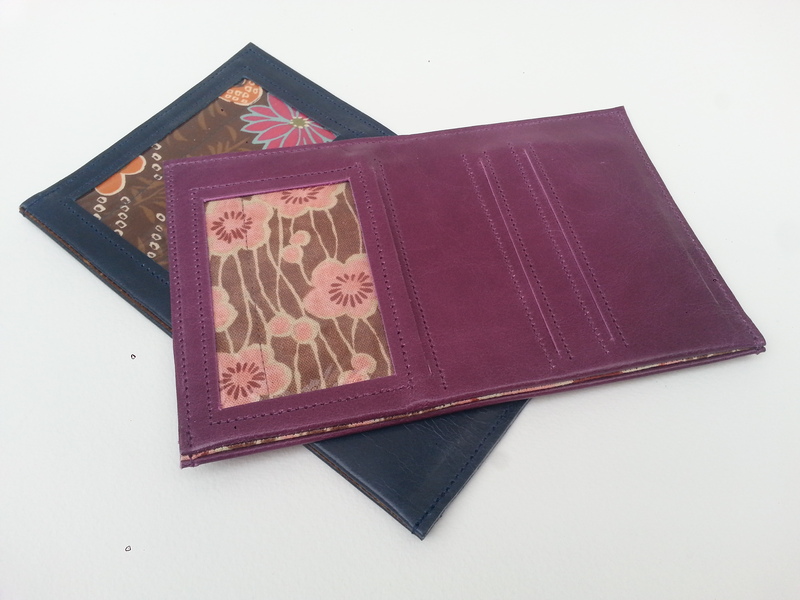 At the back of the wallet, there is an area which holds notes up to the size of a £50. 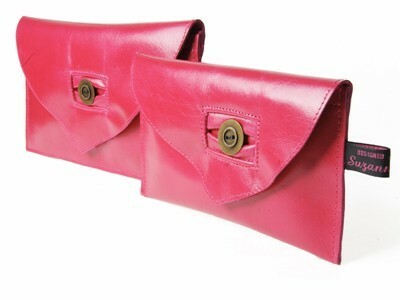 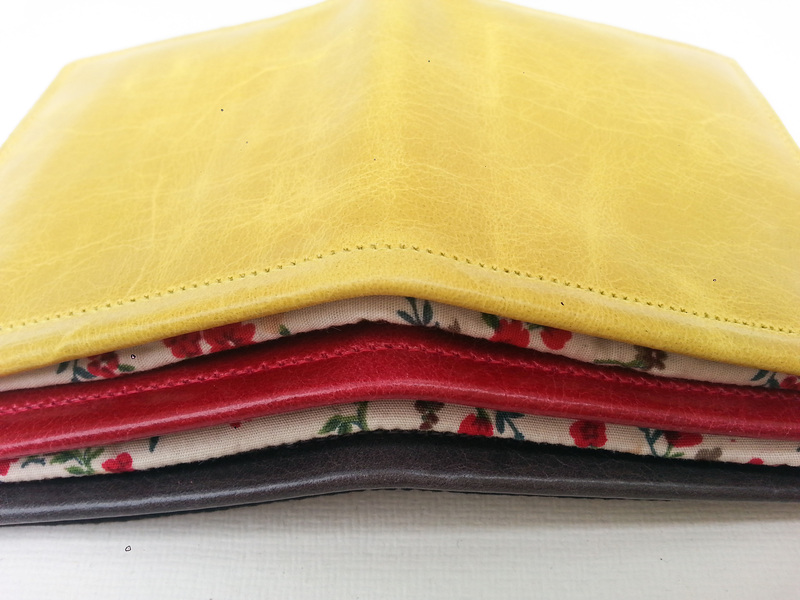 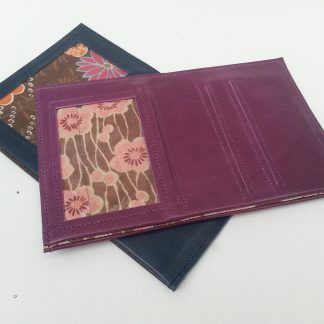 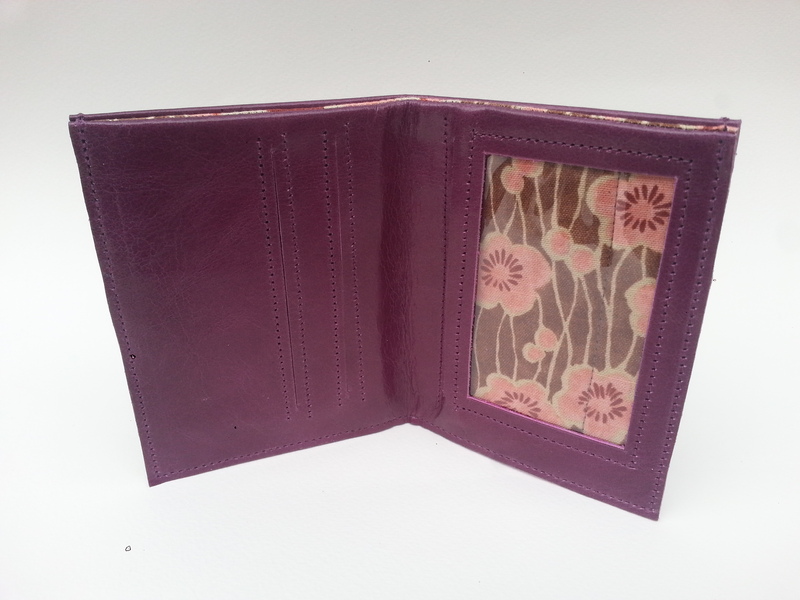 The wallets are slim enough to put in a pocket or to keep in a bag as an extra wallet for cards and receipts. 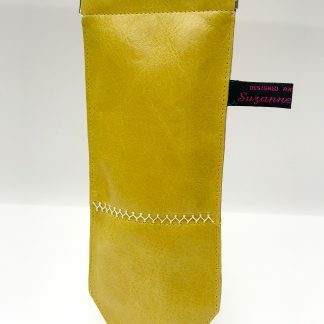 Dimensions (W: open)17cm ) x (W: closed)8.5cm x (H)11.5cm. 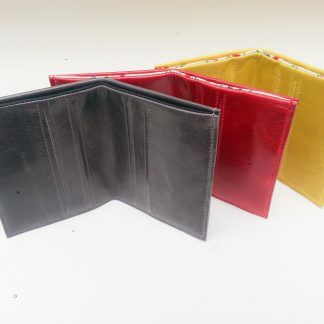 (code: Acc17) Please specify colour when ordering.